My advice to the Ethiopians is to bomb the crap out of the rebels, drive them into the sea, burn Somalia to the ground and salt the earth before leaving. It’s the only way to be sure. It isn’t often that the NY Times and I agree on anything. In fact, this may be a first. 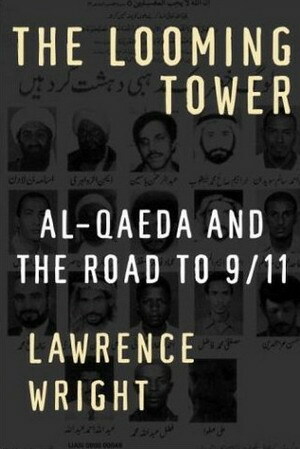 I finally got around to reading Lawrence Wright’s book “The Looming Tower: The Road to 9/11” (Amazon - $16.76, 480 pp. Knopf, ISBN 037541486X). My advice to all of you is simple: get this book, read it, read it again, think about it, read it again. You won’t be disappointed. Wright presents the facts in a very readable history of the rise of modern radical Islam from Egyptian Sayyid Qutb’s impressions of America, which he toured in the 1940’s to the subsequent rise of his “disciple”, Ayman al-Zawahiri in Egypt and the formation of Islamic Jihad, the predecessor of Al-Qaeda. The descriptions of Osama Bin Laden and his path to becoming a terrorist leader are an eye-opener, particularly the complicity of the Saudis in his rise. Wright contrasts that excellently with the story of John O’Neill at the FBI and his determined efforts to stop the terrorists only to die at the WTC in the attack of 9/11. Wright did not come across to me as an apologist for Islam as the NY Times seems to believe (on this we disagree). I felt that this was an excellently researched book that everyone who would understand the enemies of modern civilization should read. In fact, it should be required reading for everyone involved in the War On Terror or those of us who stand to lose everything if the enemy wins this one. “When Mohamed Atta and his four Saudi confederates commandeered a Boeing 767 and steered it into the north tower of the World Trade Center, they began a story that still consumes us nearly five years on, and one that seems, on bad days, to promise war without end. But the events of Sept. 11, 2001, were in many ways less the start of a tale than the end of one, or at least the climax of one, begun many years before in many different precincts: in the middle-class suburbs of Cairo, in the mosques of Hamburg, in Jidda, in Islamabad, in the quiet university town of Greeley, Colo. In its simplest terms, this is the story of how a small group of men, with a frightening mix of delusion and calculation, rose from a tormented civilization to mount a catastrophic assault on the world’s mightiest power, and how another group of men and women, convinced that such an attack was on the way, tried desperately to stop it. What a story it is. And what a riveting tale Lawrence Wright fashions in this marvelous book. “The Looming Tower” is not just a detailed, heart-stopping account of the events leading up to 9/11, written with style and verve, and carried along by villains and heroes that only a crime novelist could dream up. It’s an education, too — though you’d never know it — a thoughtful examination of the world that produced the men who brought us 9/11, and of their progeny who bedevil us today. The portrait of John O’Neill, the driven, demon-ridden F.B.I. agent who worked so frantically to stop Osama bin Laden, only to perish in the attack on the World Trade Center, is worth the price of the book alone. “The Looming Tower” is a thriller. And it’s a tragedy, too. An Iraqi appeals court on Tuesday upheld a ruling that Saddam Hussein should hang for crimes against humanity, the head of the Iraqi High Tribunal said. Tribunal head Aref Abdul-Razzaq al-Shahin told a news conference in Baghdad that the death sentence against Saddam should be carried out within the next 30 days. “The appeal court has approved the death sentence. They (the government) has the right to choose the date starting from tomorrow up to 30 days. After 30 days it will be an obligation to implement the sentence,” he said. Saddam, 69, and two others, including his half-brother, were sentenced to death on November 5 for crimes against humanity over the killings of 148 Shi’ites from the town of Dujail after he escaped assassination there in 1982. According to al-Reuters, poor ol’ Saddam is going to have to walk the Green Mile even though the genocide was justified because the Shi’ites tried to assassinate him. Now those evil Shi’ites are just getting revenge. Incredible horse-shiite! U.N. human rights experts have called on Iraq’s government not to carry out the death sentence, saying Saddam’s trial was seriously flawed. Saddam’s half-brother, Barzan al-Tikriti, and former judge Awad al-Bander also received the death penalty for their part in the killing, torture and deporting of hundreds of Dujailis. The court also rejected their appeals. Saddam is now on trial with six others for genocide against ethnic Kurds in a military campaign in northern Iraq in the 1980s. Shahin said the trial would continue without Saddam. Many human rights and legal experts have argued that Saddam could not get a fair trial in a country torn by sectarian violence that has killed tens of thousands of Iraqis. In the latest violence, bombs killed more than 30 people in Baghdad, including 15 in western Adhamiya district, a Sunni area. Earlier, a triple car bombing in a Shi’ite area killed 16. The UN and the bleeding hearts (including al-Reuters) think the death sentence is bad and will only cause more “sectarian violence”. To back up that theory, Al- Reuters is obligated to report the latest suicide bombing figures. They forgot to call the bombers “freedom fighters” though. Someone at the news desk obviously slipped up. The U.S. military reported the deaths of six more American soldiers in Iraq, bringing the U.S. death toll to at least 2,978—five more than the number killed in the September 11 attacks. At least 89 U.S. soldiers have died so far this month, making it the deadliest this year after October’s toll of 106, and increasing pressure on President George W. Bush to find a strategy to extricate 135,000 U.S. troops from the war. Finally, al-Reuters can’t leave a story about Iraq alone without throwing in the latest figures of US troops deaths. To hammer the point home, they compare the troops deaths to the body count on 9/11 and wind it all up with another whining call to cut and run. Stupid ratbag al-Reuters. Is anyone surprised that the this is happening? Pelosi and Howard Dean are only showing their true colors. Democrats have always acted like they own Washington and now that they’re in control of Congress look for more of this type of fascist behavior. Imagine how bad it would be if they win the White House. The next two years are already starting to look very scary. Pelosi To Seat Democrat Though Republican Won? The certified winner of an office in the U.S. House of Representatives may not be seated with other members of Congress by incoming speaker Nancy Pelosi next week for one reason. He’s a Republican. In an extremely close race in Florida’s 13th District, Republican Vern Buchanan defeated Democrat Christine Jennings by 369 votes. But ongoing legal challenges by Democrats are putting Buchanan’s claim to the seat in jeopardy, now that the party in control of the majority has shifted away from the GOP. 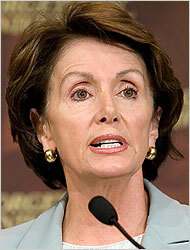 “The bottom line here is that nothing’s off the table,” Pelosi spokesman Drew Hammill told the Sarasota Herald-Tribune. The paper reports Pelosi has refused to shut the door on Jennings, until all audits, lawsuits and a House investigation are completed. But Pelosi’s office says seating a certified victor is more of a Republican interpretation and not a concrete rule. For instance, in 1984, a Democrat-controlled House refused to seat Republican Richard McIntyre, the certified winner by 418 votes after a state-ordered recount. Two weeks ago, national Democratic Party Chairman Howard Dean said Buchanan should “absolutely not” be seated Jan. 4. But not all Democrats appear to be jumping on the bandwagon to keep out the Republican. At this point, neither a state audit of the touch-screen voting machines nor lawsuits by Jennings and voting groups have produced any evidence to suggest malfunction on Election Day. The contested election is now in the political realm as Jennings has taken her challenge to Congress, filing a contest with the House Administration Committee seeking an investigation and, possibly, a new election. Such a move could take months to resolve. If Buchanan is indeed seated next week, history would be on his side for keeping it. Out of 105 contests filed since 1933, only twice has someone been unseated, with the last occurrence in 1967. All settled in on the couch, full of ham or turkey? Stuffed with stuffing and about to go into diabetic shock from the pecan pie, strawberry cheesecake and egg nog? Kids all settled down, the wife has finished cleaning up the kitchen and you’ve completed your “honey-do” list and the football game is just getting started on TV. All is right with the world, ain’t it? The sun was just beginning to rise, bringing a dim glow on a cold and clear Christmas morning in Baghdad, but the U.S. Army mission was late. The Stryker armored vehicles were supposed to have rolled from Forward Operating Base Loyalty 11 minutes ago, at 6:30 a.m., yet soldiers were still milling about outside the green machines, shivering in bulletproof jackets and Kevlar helmets. Some of the soldiers tried to lighten the mood. “Merry Christmas, sir. Merry Christmas,” they called out, knowing they could have had it worse, since other platoons began patrols at 5 a.m. “Get in the truck!” came the rattling reply. Christmas was another working day for many in the battalion, heading out to cordon off a dangerous section of eastern Baghdad and go house to house searching for insurgents, weapons and bomb-making materials. Troops ran to control the crowd, but Stryker vehicles eventually rolled up, attempting to drown out the chants by blasting their horns. Protesters shook their fists and waved Iraqi flags. Though tense, the demonstration stayed peaceful and many soldiers who had been on foot were ordered back into the Strykers. Iraqi troops and police began negotiating with the protest’s organizer, who U.S. officers described as the head of a mosque whose computer was seized when his home was searched. Inside the parked Strykers, soldiers munched on dry rations and waited. “I wish I was home now drinking some brandy slushes and opening presents,” said Pfc. Allen Groth, who was spending his first Christmas away from his family in Winona, Minn. He described a brandy slush as a frozen mix of brandy with tea and lemon and orange concentrate. Attempting to sleep beside him, despite the 12 people crammed on the Stryker’s small, twin benches, Spc. Chris Martin of Nashville, Tenn., grumbled. “Yeah? I wouldn’t give you anything.” While the soldiers waited, their superiors debated whether to continue the mission. The number of demonstrators swelled to more than 1,000. Spc. Jose Charriez of Hermiston, Ore., said he hoped for a hot shower. “And maybe a plate of food right after. That would be great for Christmas.” Superiors finally called off the mission, but the ride back to base was tense. Some Iraqis barricaded the road with burning tires and metal cables. After a squad of soldiers on foot cleared the roadblocks, teenagers and younger children threw rocks and chunks of concrete as the Strykers sped by. Mikhail S. Gorbachev, the trailblazer of the Soviet Union’s retreat from the cold war and the spark for the democratic reforms that ended 70 years of Communist tyranny, told a weary, anxious nation tonight that he was resigning as President and closing out the union. ‘I hereby discontinue my activities at the post of President of the Union of Soviet Socialist Republics,’ declared the 60-year-old politician, the last leader of a totalitarian empire that was undone across the six years and nine months of his stewardship. Mr. Gorbachev made no attempt in his brief, leanly worded television address to mask his bitter regret and concern at being forced from office by the creation of the new Commonwealth of Independent States, composed of 11 former republics of the collapsed Soviet empire under the informal lead of President Boris N. Yeltsin of Russia. Within hours of Mr. Gorbachev’s resignation, Western and other nations began recognition of Russia and the other former republics. 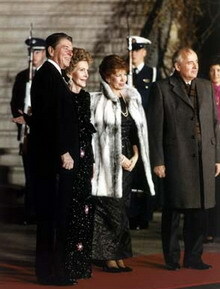 Mr. Gorbachev’s moment of farewell was stark. Kremlin guards were preparing to lower the red union flag for the last time. In minutes, Mr. Gorbachev would sign over the nuclear missile launching codes for safeguarding to Mr. Yeltsin, his rival and successor as the dominant politician of this agonized land. And with this final act, it all came to an end. On January 1, 1992 the Union Of Soviet Socialist Republics died a peaceful death. Thank you President Reagan for making it happen. James Brown died early this morning at the age of 73. Papa’s got a brand new bag. Ethiopian ground forces march into Somalia and their air force bombs Mogadishu. The fuse has now officially been lit in the Horn Of Africa. Fidel Castro isn’t dieing of cancer but Spain just sent their best cancer surgeon to Cuba. Raul Castro better start coming up with a better story soon. The Pope’s Christmas message: worship God, not technology. So turn off your computer and go to church but don’t forget to take your cell phone. The United Nations gives Iran a slap on the wrist over its nuke technology. A strongly worded letter is next step if they don’t comply. Fraud in Katrina rebuilding effort reaches $1 billion - Shaw Group Inc., Bechtel Group Inc., CH2M Hill Companies Ltd., and Fluor Corp under investigation. One name conspicuously absent from list of evil companies is Haliburton ... someone alert the media. A mysterious halo appeared in the sky over North Korea just before its leader Kim Jong-Il marked an important anniversary, the communist state’s official media reported. The “unprecedentedly great halo” appeared over the city of Kusong on December 23 during a day of cloud and gentle hail, the Korean Central News Agency reported Monday. “The big ring around the sun stayed for 30 minutes, throwing bright rays of seven colours. And when it disappeared, the hail stopped and not a speck of cloud was seen,” the agency said. In a separate dispatch, the agency said youths and students held dances in different parts of the country to celebrate. “The participants delightedly danced to the tune of ‘Let’s Sing of Our Pride in Being under the Guidance of the General’ and ‘Our General Is Best’ and other songs,” it added. 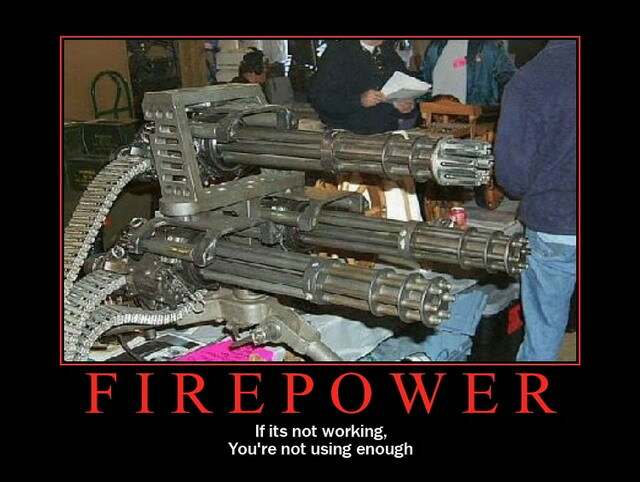 This concludes the Christmas Gift list for this year and with that in mind try to imagine the following. Pretend for a moment that you are God. It’s OK. HE knows where this is going and HE says it’s all right for just this once, so bear with me. Now, close your eyes and pretend that you are The Creator. You are everywhere and everywhen. You have always been and always will be. You do not have to go anywhere because you are everywhere. Time exists only as a trivial concept for mortals who measure their days of existence. Makes you kinda dizzy, doesn’t it? All that power encompassing the glory of all creation is enough to break the minds of mere mortals who are given only a glimpse of the power and majesty of God, like Moses and the prophets. When God says “I AM THAT I AM”, HE means it. Literally. 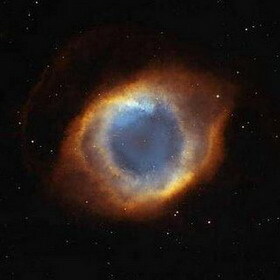 So imagine that you are the “be all and end all” - the Alpha and the Omega. Now turn your gaze upon this little blue planet orbiting a small sun out on the edge of one of trillions of galaxies you created. Your children are playing. They insisted on having free will shortly after you created them and you have tried to guide them along their path to maturity. At times you have had to intervene when they strayed too far from the path you have set out for them. They are an ornery bunch at best. At their worst, they are an abomination and must be disciplined with floods or pillars of fire. You ordered them to follow ten simple rules to live by to help them be good. They have broken every one on a regular basis. So what do you do? After pondering the matter, you decide to give them something - one last chance to redeem themselves. 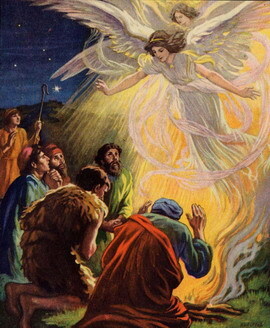 You dispatch an angel to give to a good woman a small part of yourself in the form of a child. A child who will grow up and show these mortals a small piece of your power and glory by raising the dead, healing the blind and lame and bringing to them a short, simple message consisting of only two rules: (1) Love God, (2) Love each other. Sounds simple doesn’t it? Of course since you are everywhere and everywhen and you already know how this will turn out. They will not believe the messenger and instead will nail HIM to a cross. For that is their nature. Your only hope is that they will recognize this flaw in their nature and realize the horror of what they have done. Well, another year is almost gone and Christmas day is fast upon us. First, I want to thank everyone who donated to this blog yesterday and today. I have sent out thank you cards to all of you and I want to thank you again for your generous support. We managed to collect enough $$$ to pay our annual rent ($400) here at our hosting service and have a little left over, which is a relief since blogad sales have been a little slim the past few months. I guess all those Looney Left sites are getting all the advertising dollars nowadays. All the rest of you Scrooge ratbags out there can look forward to the Ghost Of Christmas Future coming tonight to visit you and you ain’t gonna like it (Hint: he carries a sword and shouts ‘Allahu Akhbar’). Those who donated are entitled to one free box of ammo when the revolution comes. So there! With that said, the following weeks should be lots of fun. We have the Annual Barking Moonbat Hall Of Fame vote coming in a few weeks as well as the Third Anniversary of this blog. Our fourth year will officially begin at around 8:00am on January 14. So hang around and enjoy the fun. Posting will be light tomorrow, probably no more than one of two items of interest. I have a large ham to slow cook tonight, potato salad to prepare, corn on the cob to boil, salad to toss and ... a chance to unwind with a good book and relax for one day. This is the first time in 57 years that I have spent both Thanksgiving and Christmas by myself and I’m starting to enjoy the peace and quiet. If I don’t hook up with a new girlfriend soon I may decide to become a monk. Hmmmm. “The Blogging Monk”? Sounds good. I wonder if that name is taken? Finally ... there will be one more post today before I turn out the lights and go dream of sugar plums and toy soldiers. If you’ve been reading this blog for the last twenty three days, you already know what the title of the post will be. Now it’s up to you to figure out what the subject of the post will be. See if you can guess what The Skipper has chosen. 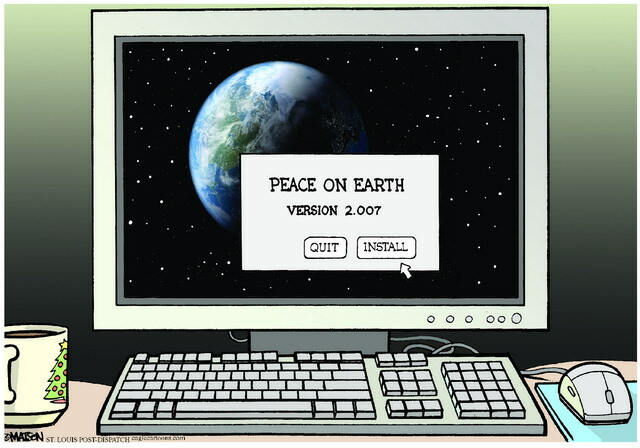 Again, THANKS to all the readers and commenters here for another wonderful year. 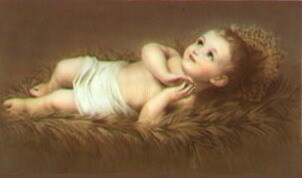 God Bless you all and have a Merry Christmas! Seeing the flames, Sheriff’s Deputy Lance Ferguson grabbed a fire extinguisher and ran to the man. Flames were devouring a Christmas tree next to the Liberty Bell, where public events and demonstrations are common. Beside the tree the man stood with an American flag draped around his shoulders and a red gas can over his head. The man suffered first degree burns on his shoulders and arms, Milam said. Kern County Sheriff’s Deputy John Leyendecker said the man had a sign that read: “(expletive) the religious establishment and KHSD.” On Thursday, the Kern High School Board of Trustees voted to use the names Christmas and Easter instead of winter and spring breaks. Signboards arose up and down the trenches in a variety of shapes. They were usually in English, or - from the Germans - in fractured English. Rightly, the Germans assumed that the other side could not read traditional gothic lettering, and that few English understood spoken German. ‘YOU NO FIGHT, WE NO FIGHT’ was the most frequently employed German message. Some British units improvised ‘MERRY CHRISTMAS’ banners and waited for a response. More placards on both sides popped up. A spontaneous truce resulted. Soldiers left their trenches, meeting in the middle to shake hands. The first order of business was to bury the dead who had been previously unreachable because of the conflict. Then, they exchanged gifts. Chocolate cake, cognac, postcards, newspapers, tobacco. 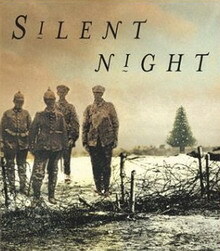 By Christmas morning, the “no man’s land” between the trenches was filled with fraternizing soldiers, sharing rations and gifts, singing and (more solemnly) burying their dead between the lines. Soon they were even playing soccer, mostly with improvised balls.